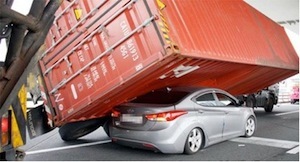 Sun Valley Truck Accident Personal Injury Lawyers You Can Trust! We Are Truck Accident Personal Injury and Wrongful Death Claim Lawyers With Over 40 Years of Experience in Handling Personal Injury Claims in Sun Valley and Los Angeles! We are very experienced and reliable personal injury lawyers offering expert truck accident personal injury case advice and legal assistance in Sun Valley and throughout all of Los Angeles for about 40 years! We have successfully resolved thousands of truck, car, motorcycle and motor vehicle accident cases in Sun Valley, Los Angeles and California. Therefore, if you were injured in truck, car, motorcycle, or any other accident, or need support in a wrongful death claim of a loved one, relative or a family member in Sun Valley, California, you will need legal experience backing at every step. Contact us now by calling 818-222-3400 or 1.866 INJURY 2 for a completely FREE & CONFIDENTIAL CONSULTATION. Click here to reach us now 24/7 for a Sun Valley or Los Angeles truck accident injury case or wrongful death case consultation. For information on our lawyers, their experience and success stories check our Client Testimonials, our record of Verdicts & Settlements and our Personal Injury Lawyer Profiles. If you are searching for more information about truck accident and what should be done, and also should not be done and said, in case of a truck accident injury or any other kind of personal injury, then you can find additional information on our Truck Accident Advice Page. And, of course, for much more specific information about your own Sun Valley truck or car accident, please call us now at 818-222-3400 or 1.866 INJURY 2 for your FREE consultation. In addition, we work on contingency fees which means there is NO fee until you WIN! 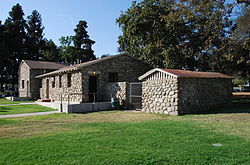 Sun Valley is a neighborhood in the San Fernando Valley region of the city of Los Angeles, California. Sun Valley is known for its overall youthful population and moderate racial diversity. During the 1880s, the neighborhood was known as Roberts, after which it was referred as Roscoe in 1896. 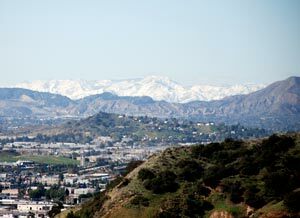 Sun Valley is bordered by Burbank on the southeast, Shadow Hills on the northeast, North Hollywood and Valley Glen on the south, Panorama City on the west, Pacoima, Hansen Dam and Lake View Terrace on the northwest. Stonehurst Recreation Centre Building, Sun Valley, Los Angeles, Calif.
During your truck accident personal injury case or a wrongful death claim of a loved one. Our Sun Valley Truck Accident Lawyers Proivde You With an Absolutely Free Case Evaluation and Confidential Case Consultation! For legal assistance in your truck accident personal injury case, or any other motor vehicle accident injury claim, contact our experienced personal injury lawyers and wrongful death accident attorneys now who can explain things to you in a FREE CASE EVALUATION AND CONSULTATION. There are many time deadlines and procedural rules, including those imposed by the California Department of Motor Vehicles (DMV) and insurance companies, especially in uninsured motorist (UM) claims, so please do NOT wait. For our quick and easy consultation 24/7, simply use our contact us form and tell us about your truck accident or any other personal injury case.